In: “The Bahama Islands” by The Geographical Society of Baltimore 1905. 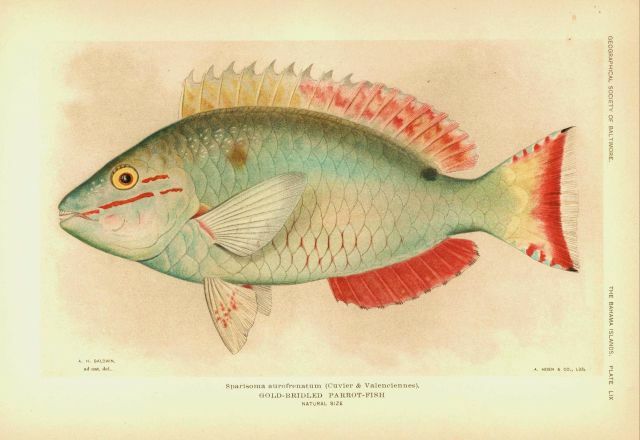 Gold-bridled parrotfish (Sparisoma aurofrenatum). Plate LIX.